Pitfalls to Avoid When Car Shopping | Ezee Credit Leasing and Sales Inc. When you have poor credit, getting an auto loan can be challenging. Beyond finding a reliable car you like, you also have to consider financing, interest rates, length of term, how much you can realistically afford – and whether you’ll even be approved for a bad credit car loan. At Ezee Credit, we take a different approach. Our Auto Credit Specialists work with you to develop a realistic plan that puts you in a quality, low mileage vehicle at terms you can afford - often with little or no downpayment. Find out for yourself why we have so many repeat customers. Lots of dealers and bad credit car loan websites will ‘shop’ your credit to many lenders – and even suggest this is to your advantage. It’s not always helpful – and can actually hurt your credit . Here’s why. If you have too many credit inquiries over time, it can reduce your credit score. Further, when you apply for a bad credit auto loan, it’s quite possible that your credit score may be too low for an automatic approval. If that’s the case (which is very common), all the lenders who were sent your application will request a Credit Bureau Report – which they are inclined to review more critically. 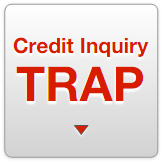 They may be concerned that there are too many credit inquiries and assume that you’re desperate. They may also think, rightly or wrongly, that you have been repeatedly turned down. 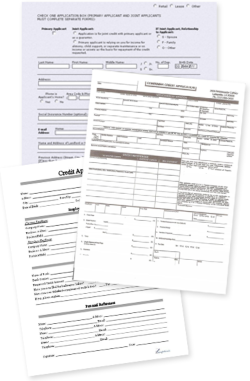 Every lender will also see which other lenders have received your application. Because they have a good sense of their competitions’ credit requirements, they’ll wonder why you’ve been turned down by lenders who may have lower approval standards than themselves. As you can see, "shopping" your credit raises a lot of red flags and actually works against you. You’re likely to end up with less favourable financing terms – if you’re approved at all. That means a higher interest rate, a less desirable vehicle, and a bigger downpayment. That’s hardly to your advantage. At Ezee Credit, we have strong relationships with many lenders. But our experienced Auto Credit Specialists don’t forward your application until we do a careful review of your situation. We pull only one Credit Bureau Report so we can asses which lender will be the best choice for your circumstances and the car you want to drive. If we believe it will improve your chances of getting better terms, we may select two lenders. But typically we start with the one lender who we think offers the best terms and will give you a realistic chance of being approved. And as a major lender ourselves, Ezee Credit can often provide the best financing. We have the flexibility to customize a package that will put you in a vehicle you can afford and be proud of – and help you rebuild your credit successfully. Get started today, risk-free! With bad credit car financing, the term length of the loan is influenced by the model year and kilometres on the vehicle. For newer vehicles, the term length can be up to 84 months (7 years). Although paying off a loan over many years can lower your monthly payment – your total cost is much higher. You also run the risk of the car not lasting the full term of the loan, which could leave you making payments on a car you can no longer drive. Locking in at very high rates for a long period of time should be avoided if possible. Unfortunately, with a bad credit car loan, you’re often faced with a higher than normal interest rate until you can rebuild your credit – although these rates can vary. Your best option is to get re-established as quickly as possible at the best rate available so you can qualify for lower interest rates on your next vehicle. Choosing a long-term contract means that you’re committed to higher interest rates – and an aging car. With a shorter loan, you will be able to change vehicles or refinance sooner at better rates with your improving credit. Most poor credit lenders will not refinance negative equity, especially if you are just starting to re-establish your credit. If you decide to trade in the vehicle for a new one, you’ll only get the wholesale value for it – an amount much less than the retail price you paid. This makes the negative equity even worse, and reduces your chance of getting financed for a bad credit auto loan without a large down payment. If you do get refinanced on a new vehicle, the negative equity left over from the first loan is added to your new contract and must be paid off in addition to the cost of your new vehicle. Sometimes a bad credit lender won't match the term of a car loan with how much time is required to fully pay it off (e.g. 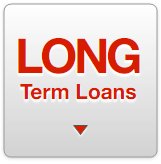 the loan is for 60 months, but the payments are based on a 72-month term). So when you make your last payment, you don't own the car – you still owe money on it. That additional money you owe after completing the loan is likely something you may not have realized or planned for. At Ezee Credit, we always structure financing that we believe gives you the best opportunity for success. In our experience, that means the shortest possible term. Often times, the payment increase of a shorter loan is quite small compared to the months or years of payments that are eliminated. Ezee Credit also give you the choice of leasing – an option that few lenders even offer. Our bad credit car lease can provide you with a newer vehicle, shorter term, affordable payments and lower total financing costs. Leasing is an alternative you should learn more about before making any decision. Older vehicles may offer a lower monthly payment, but they often cost more in the long run – or worse, don’t last the full term of your bad credit car loan or lease – especially with a long term contract. A lower payment isn’t nearly as attractive when you include unexpected repair costs – or a car that dies while you’re still making payments. Late model, high mileage vehicles and older cars generally need replacement parts and other repairs sooner and more frequently. The monthly payment is just one part of the equation. 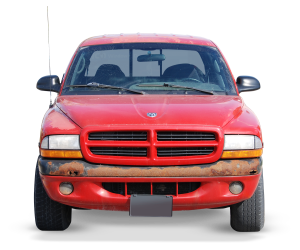 Don’t overlook the hidden costs that come with an older vehicle. And drive a car you love. Great cars are one of the things that sets Ezee Credit apart. We carefully select cars, crossovers SUVs, minivans and trucks that are still in the prime of their lives. Older vehicles may have a lower initial price - but unexpected repairs can add up in a hurry and put you off balance financially. And brand new vehicles suffer the greatest depreciation – often losing 20% or more of their value the moment they drive off the lot. We let the original owners foot the bill for all that "new vehicle" depreciation, and focus on late model, low mileage cars that are thoroughly inspected. That allows us to offer you an affordable price on a reliable vehicle you’ll be proud to drive. Who Are You Actually Dealing With? There is an overwhelming number of websites out there offering you a bad credit car loan. 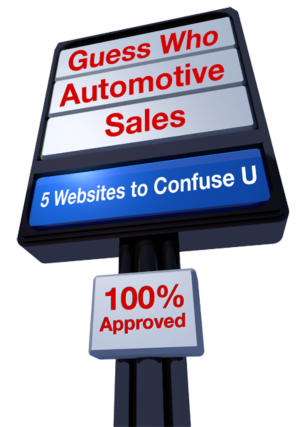 In fact, many are actually lead-generation sites that sell your loan application to a new or used car dealer in your area. Who knows if you’ll even like the dealer’s product, prices or service. 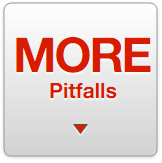 These same "bad credit lead generators" often have multiple websites that look different from one another. So if you apply on several sites, you may be sending duplicate applications to the same lead generator and, ultimately, the same lenders. This can lead to your credit report being requested more than once by the very same lenders – a situation that can hurt your chances of approval. In the last several years, some larger lenders have been established in Canada that provide bad credit car loans on newer vehicles similar to the type that we offer at Ezee Credit. We’ve thoroughly evaluated these lenders and developed relationships with the ones we believe offer the best value and terms for our clients. Most of them offer long term financing, which can be appropriate in some situations. However, our experience has demonstrated that shorter term bad credit car leases are often preferable, though they aren’t offered by most lenders. These new lenders have allowed many used car dealers to offer bad credit financing. Likewise, many new car dealers have set up “special finance” departments for people with bad credit. However, these departments typically have only one person with limited experience. These new and used dealers typically shop your credit to multiple lenders, hoping to get it approved somewhere. If they’re unsuccessful, they often leave your credit worse than when they started. Very few of these dealers are set up to self-finance a vehicle. If they are, it’s often for lower value, higher mileage cars because they don’t have the financial resources and experience to offer quality late model, low kilometre vehicles. To make matters worse, many dealers who do self finance don’t regularly report to the Credit Bureaus. So, even if you make every payment on time, your excellent track record doesn’t help re-establish your credit score. As a result, you could miss out on the benefits of lower borrowing costs and better vehicle choices on your next car loan or lease. We're not a one-person department. 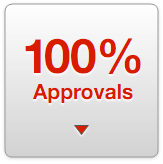 We specialize in bad credit car financing. It’s all we do. We don't buy or sell your application. We're only interested in working directly with you. We minimize the number of credit inquiries to avoid hurting your credit profile. We’re a well-established lender and can offer customized financing you won’t find anywhere else. We offer both purchase financing and shorter term leases – and help you decide what’s best for you. 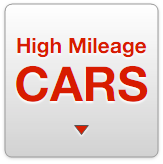 We offer great cars – late model vehicles with lower kilometres, all fully inspected, reconditioned and certified. Ezee Credit is truly your one-stop solution for bad credit car loan solutions. Apply online today. It’s fast, easy, and you know exactly who you’r dealing with.